The 'little' of this next design concerns the juxtaposition of photo-imagery within a chart display. 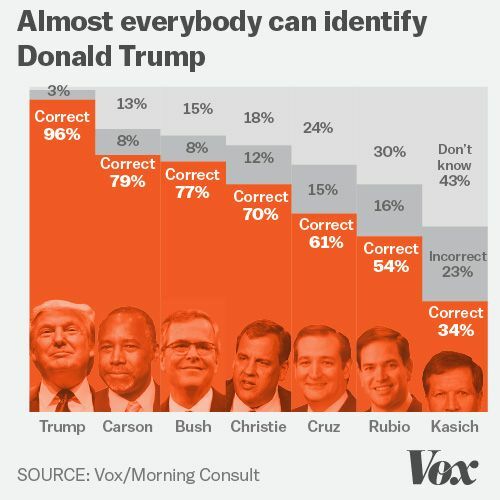 In this analysis by Vox 2,000 voters were surveyed to find out which of the 2016 candidates they were able to correctly recognise. 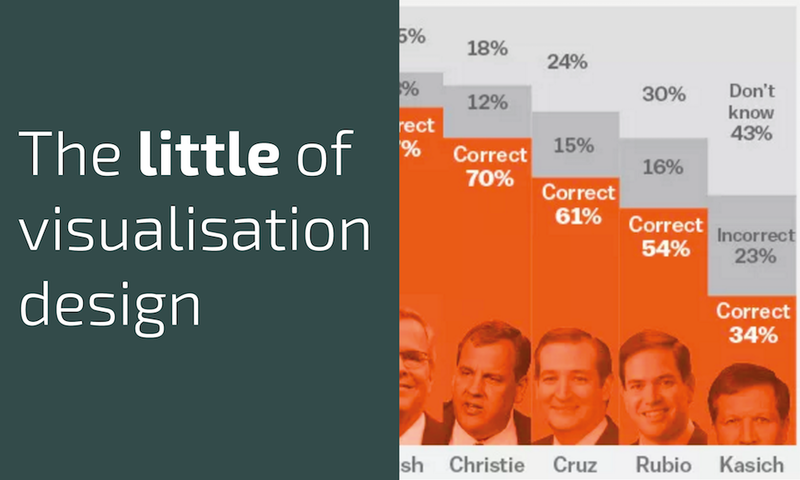 The charts produced show the breakdown of the results and (logically) include a small image showing the faces of each candidate for reference. One of the subtle design choices I like here is the deliberate cropping of the least recognised candidates' images. Due to the smaller 'correctly recognised' values, the available space to accommodate the images is already diminished*. Rather than see this as a reason to relocate or perhaps proportionally shrink the images, notice how the faces of Kasich and O'Malley partially disappear below the axis, editorially reinforcing the findings of the analysis. (* Incidentally, I probably wouldn't normally repeat the value label word 'Correct' on each bar - once should be enough - and so removing this would create more space in practice). I think cropping the least recognized candidates might be a valid or even a cool way to represent the concept of being unknown. But in the real world, the graphic is becoming part of the problem by not helping the user to learn. 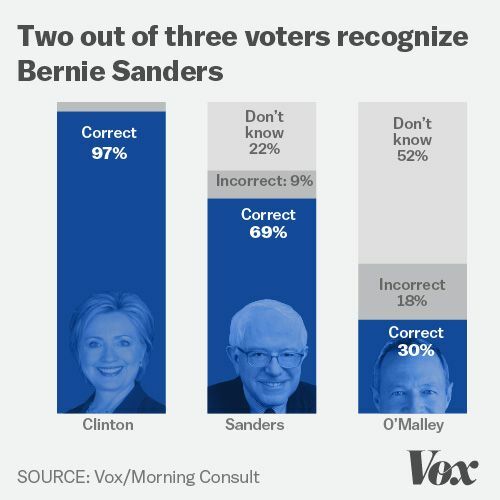 70% of people will see this graphic and still won´t recognize OMalley or Kasich afterwards. You did a good job as a designer, but a poor job as a citizen.